Interview on the concert by the Spanish pianist Silvia Torán who played Three Sonnets by Petrarch, Jeux d’eaux à la Villa d’Este and the Sonata in B minor on 18 December 2011 to mark the bicentenary of the birth of Franz Liszt (1811-1886). 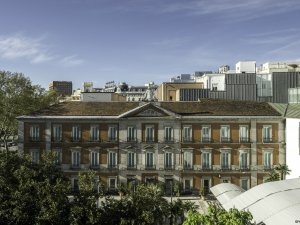 Liszt undertook a lengthy tour of Spain and held his first concert in Madrid at the Palacio de Villahermosa, which has housed the Museo Thyssen-Bornemisza since 1992. Liszt’s concert is commemorated by a plaque on the Museum’s façade on the Carrera de San Jerónimo.